Ski Holidays to Selva in Italy 2017 & 2018. Selva can be found in the appropriately named and internationally renowned Dolomiti Superski area, which means it is a feature of the world’s largest skiing locale and a recognised World Heritage site as preserved under UNESCO rulings. Over 1200 kilometres of sanctioned slopes and hundreds of lifts service Selva and the surrounding area, which means you can use your lift pass as a ticket right into the midst of the diverse, beautiful landscape no matter what your ability as a skier. Skiing excursions into the Dolomiti Superski area have been taking place for nearly a hundred years and over this time it has benefited from loyal visitors and seen vast investments in facilities for fun on and off the slopes. Selva has one of the liveliest aprï¿½s ski cultures in Italy, with a focus on dancing, drinking and having a good time. Most head to Val Gardena in search of discos and watering holes and Saltas Bar is one of the most bustling and vibrant places to let it all hang out after the daylight has waned. Resident DJs spin tunes all nights long at La Bula and there is even more fancy footwork to be thrown about at the Dali Disco. In short the young in body and mind will find no reason to rest if that is their desire. There are of course more subdued ways to spend an evening, including restaurants and quieter bars, so it is not going to offend those who prefer to seek conversation over ebullient hip thrusting. There are many variants on standard skiing on offer at Selva and the most extreme of these is Heli-skiing, which is definitely not for the inexperienced or feint-hearted, but is the only way you will be able to get to the more remote areas where the lifts simply do not reach. There is also cross-country skiing which is not quite as death defying but still a great way to take in the local landscape and you can trade in your skis for a pair of ice skates at the rink. For further sporting action there are squash courts, a bowling alley and tables for billiards in the resort and if you prefer to be a spectator you can enjoy ice hockey matches and watch the experts slam each other about in a well choreographed and balanced display of skill and violence. Many ski resorts have swimming pools, but few have one quite as special as that which resides in Ortisei. This is a pool that is powered by a hot spring, providing a naturally heated bathing experience and unlike many other hot springs it is actually housed indoors, not exposed to the elements, which combines a bit of civility with its rugged origins. Because of its proximity to Austria the food served by many of Selva’s restaurants is an intriguing combination of the two different gastronomic cultures. Miravalle and Sal Feur are two restaurants which epitomise this interesting state of culinary affairs and this means that foodies can literally get their teeth into something original. That is not to say that Selva is not home to a number of great pizzerias specialising in one of Italy’s best loved dishes, because the likes of Rino’s and other popular budget eateries are on hand to provide great pizzas for around six Euros and upwards. Pasta aficionados can try the delights of The Costabella and there are enough different establishments to mix up your dining arrangements throughout your stay. Selva is blessed with excellent ratings across the board, getting four stars for both beginners and experts, whilst five stars have been awarded to the intermediate experience. Only snowboarding falls slightly short of this high standard, with three stars allocated for this popular activity, but even so this is still as good or better than many of its immediate competitors. Selva will leave you spoilt for choice because of the sheer scope of its slopes, which as mentioned earlier cover huge distances and are all well connected thanks to a network of lifts, with helicopters plugging any gaps for those who want a more extreme experience. 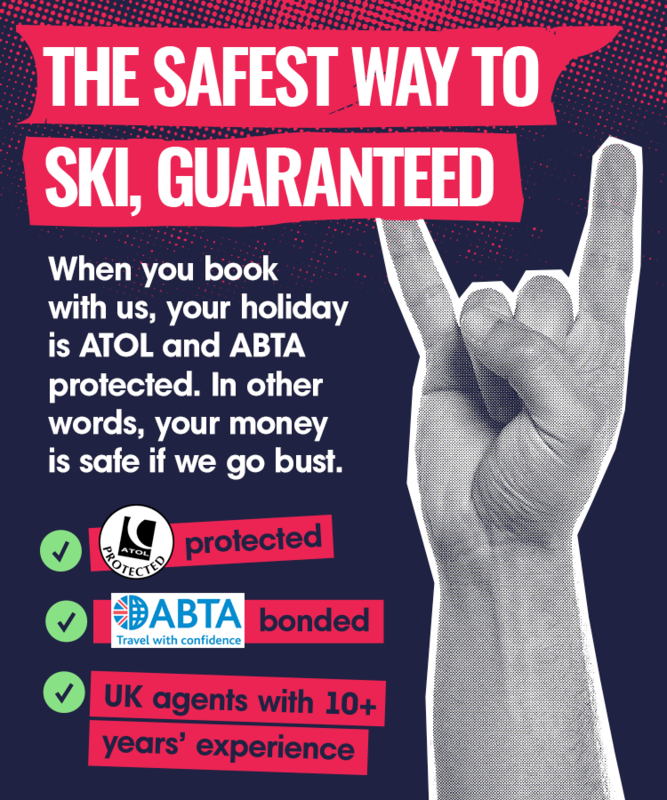 Some ski resorts are all about the act of skiing, whilst others have a greater focus on aprï¿½s ski and other activities. With Selva you get a combination of world class slopes stretching across jaw-dropping vistas and excellent facilities to make the rest of your stay as pleasant and exciting as possible. It is deserving of its reputation as an essential destination for any skier worth their salt.